I had to use your instructions for the larger size and then I started to do as the instructions called for in the next rows, but in row 10 of the pattern there are 3 dc and with the enhanced pattern I have 4 so where would the middle be? Oh and by the way I love your page. I even started my husband learning how to crochet now that he knows that men can and will crochet. He finds it relaxing and loves to try new things. Thanks for showing my husband that men can crochet too and making these awesome videos. What is the new stitch count after adding the two additional rows? Need to know so I can do the bill correctly. TIA for any feedback! 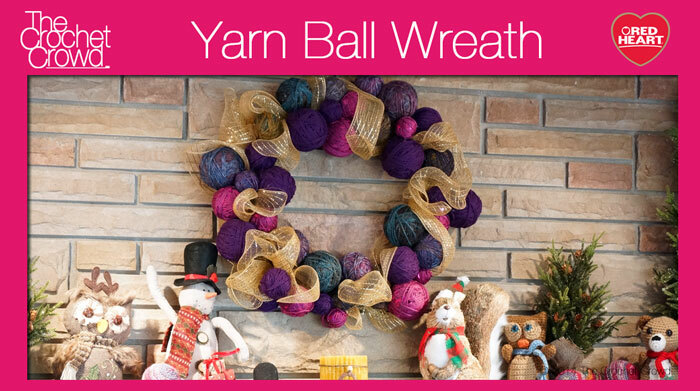 Has anyone tried 6 ply yarn (Bernat 6 ply Softee Chunky). 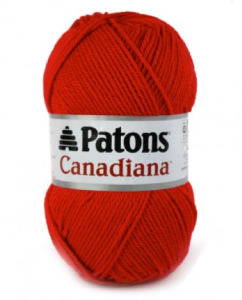 What size hook should I use with this yarn? I used a chunky yarn but was still able touse the H hook. If you do this, you will need to change the height of your stitches, It might take a couple of tries. I got by with using a SC for my last round and still doing the FPs and the increase. I could have easily changed the last 2 rows from DC to HDCs and probably gotten the right sixe, but this yarn is also fizzy and a pain to take out so I opted for the easier fix. You won;t need as many rows either to get your length of hat. Good Luck! Thank you Mikey.I am make one of the challenge hat I start on it today Sunday Jan 10,2015.Thank you again. 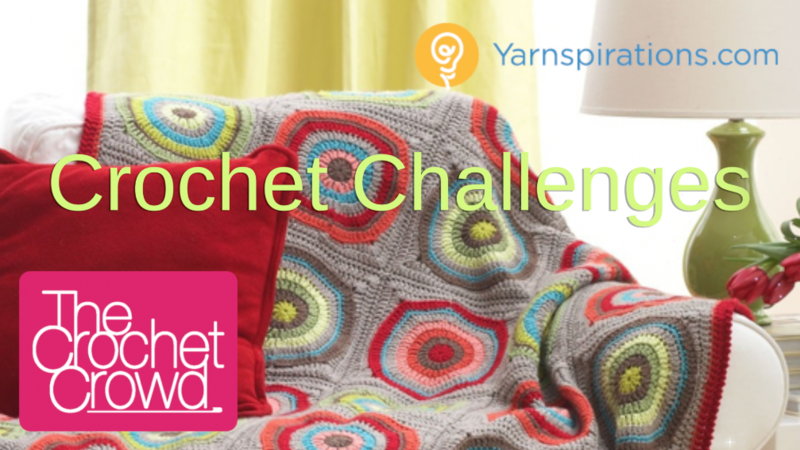 Both of your videos on this page are for Left Handed crocheting. I know this isn’t a huge problem as I’m sure left handed crocheters have to watch a lot of righty videos and just remember to reverse direction, but I figured I’d mention in case there is a right handed one (and it can be posted) or the extra video can be removed. Actually I apologize. I seem to be seeing double and must have accidentally clicked on the left handed video. Sorry! I am at round 8. I’m not sure how to know if the hat size is right for me. Can I get an idea on how to judge this? Should the diameter, at this poin, be about as wide as my head??? I really like your explanation of each round. I am learning a lot in doing this challenge. Average adult size is about 7″ dia. across the flat rounds area. That is your starting point, The tightness of the pattern and the fit you like will make that vary. This one is average fit, not too tight and not too loose. The actual pattern calls for 16 sets of 3dcfp on 10th round; in this way, it uses all the 16 spikes (dcfp) from 8th round. If I do increment rounds 9 and 10 as you advised to make the hat bigger, I can’t pick up the dcfp two rows below for 3 dcfp in the 12th round. I am not sure what should I do in this case? Can you advice something? Should I follow the 10th round’s instructions irrespective of the spikes position? What is the ‘tool’ you used to sew on the buttons? Where can I find this? After increasing the size as per your instructions above I am confused to how I then re-follow the pattern as I now have 4 sc’s between each spoke. Is it right that in row 10 I miss 1sc then 1dc in next sc, miss 1sc; 1dc in next sc right before next 3dcfp around dcfp 2 rows down? I’m a complete novice at crocheting but am enjoying the challenge this project brings me and would like to see it through to completion. Okay, here is what I would do…. You have 2 stitches in the center instead of 1. Pick either the first or second one and stick with that choice all through the hat. 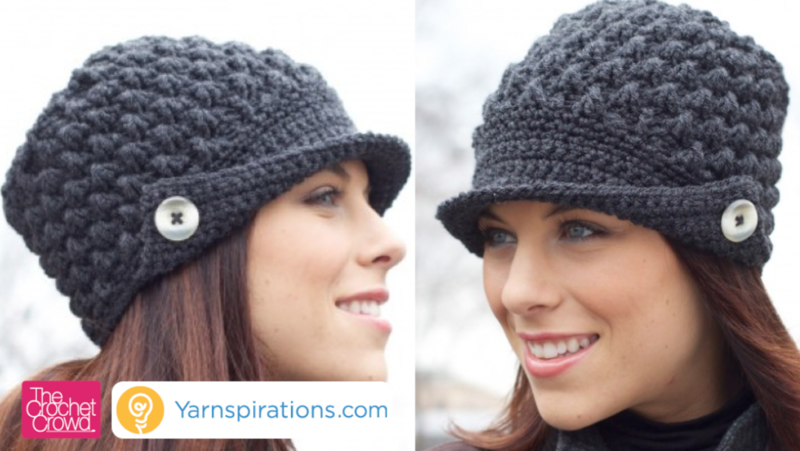 You will have a slight spiral look to your hat but it will be a pretty one. Because you have 2 center stitches instead of just 1, you need to pick which one you want to use and use it throughout the hat. add a ch 1 between the fans so you don’t loose your extra stitches. You still want to end up with the same # of stitches as your last flat round. I simply love you! I really appreciate the time and effort you spend sharing your knowledge of a splendid craft with the world. You are truly blessed. A question about the pattern after taking in the extra rows for a bigger hat. If I stick to the original pattern after adding the extra rows I just seem to adjust the size to the smaller version again. Before I try something myself, does anyone here have the same problem and maybe even a solution? I was thinking about doing 4 dcfp’s instead of 3, or 2 normals dcs instead of one but I don’t want to change the pattern too much. 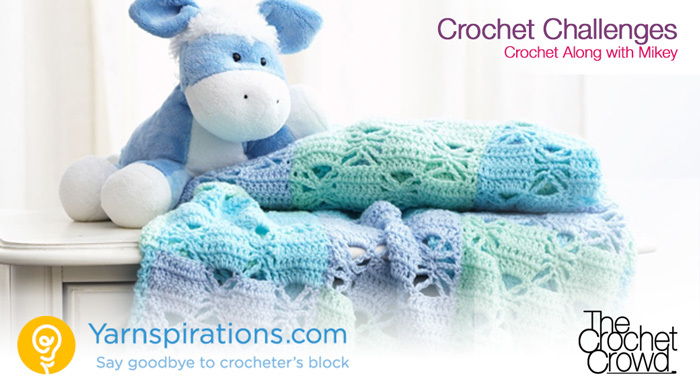 I am new to crocheting and found this site via Facebook it was recommended to me. I can honestly say your videos are an excellent tool and made doing the Peak hat challenge a little it easier to understand versus reading the pattern. I can’t wait to do more challenges and see new videos. Can you post the link to the chart for the Women’s Peaked Hat? It was included in the You Tube tutorial and It helps me to visualize the stitches. Thank you! 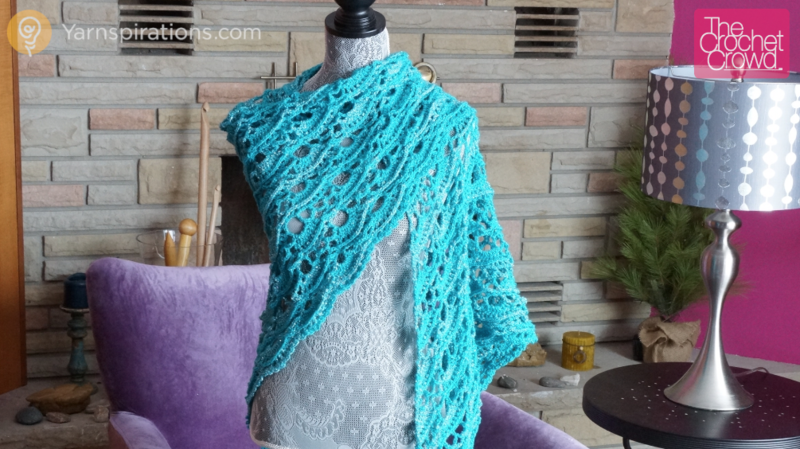 Go here and download the pattern. The diagram is in the PDF file. I am attempting to do my second hat using the january challenge. My first was quite small so I added the two extra rows. It then says to resume in row 10 but that doesn’t fit. Do I add a 3 dcfp in the middle of the posts? Hi, if I have used the additional 2 rounds to make it 4 dc in between each “spoke”, do I also increase on the original round 10 to make it 4 fpdc in each fpdc? Thanks for the challenges and all the inspiration, btw, Mikey! I love looking to you for inspiration, and you never disappoint. Hi Mikey! Thanks for another great tutorial. Just thought I’d share, that needle you’re using at the end to sew on the button is called a finishing needle. It’s great for the use you demonstrate, but it’s real brilliance is for weaving in ends, you will never use a regular darning/tapestry needle again! Row 5 – 40. See how it is working? 8×2=16, 8×3=24, 8×4=32. 7th row will have….8×7, or 56 stitches around. Use the multiple of 8 for each row. You will always know how many you should have. hi there im just starting this hat pattern and i thought i was doing it write but when i read the pattern with the amount of stitches it says 32 and i get 48 on row 4 am i wrong? If you started with 12 in the center then 48 would be right, but if you started with 8 then you are definitely off. Rule of thumb for making rows in the round… The number of center stitches, times the row you are on= the number of stitches you should have. So on row 4, with 8 to start with, 8×4=32, with 12 to start, 12×4=48. Okay? I’m working the increased size directions (after working 3 regular sized ones). If you have 4 dc between spokes, should the rest of the pattern be adjusted? I worked the 3 dcfp’s and then 2 dc instead of just one. Sl st in next st. Ch 3 (counts as dc), dc in next sc. Miss next sc. 3 dcfp around dc 2 rows below. Miss next sc. *1 dc in next 2 sc. Miss next sc. 3 dcfp around dc 2 rows below. Miss next sc. Rep from * 14 times more. Join with sl st to top of ch 3. Never mind. I see how it works now. The peaks just don’t line up with the spokes. Perfect! Just be consistent with which one of the DCs you use for the FPDC fan in the next row. and with the location of the DCs above the fans below. What count should I have if at the end of the 2 extra added rounds? I am having difficulty start round “9” please help. Standard rule for these type of flat rounds…. Number of beginning row stitches (in this case 8) times the number of the row, So R5 has 40(8×5), R9 has 72(8×9),R8 has 64(8×8)… See? So if I increase to 4 double crochet between the fpdc for the top of the hat. Would I then do 4 fpdc and 2 dc around to continue the size down the main part of the hat? I have a question about how many colors you can use. It is one skein of the same color or five different skins? Or can you used two colors? The project still has two buttons just one of them is on the flower. Is that ok? As many colors as you like! And the flower button ADDS to the hat. As long as you don’t do LESS than the pattern calls for you are okay. If I add the extra rows to make it bigger, should I then do 2 DC in between the spokes of the FPDC so there’s not a big hole? Adding an extra stitch is necessary to maintain the larger size you want. A Ch 1 added on one side of the DC will work or make it denser with an extra DC. Just be consistent with witch DC you use for the Fan on the next pattern row. I’ve added the two extra rows to increase the hat’s diameter and ended with 80 stitches. I started up again with row 9 as instructed and continued on with the pattern. I now have 64 stitches as indicated in the original instructions and the hat is very small. Should I still have the 80 stitches I started with? Thanks for your help! You have to continue with an extra stitch between fans. Add either a DC or a ch st. Just be consistent with which side is used. So, if you fan, DC, Ch 1, Fan, do that every time. Not Ch 1 DC one time and DC, Ch1 one another. Same with adding the extra DC in center. Make sure you use the same DC every row for the new fan. By not adding the extra stitch it dropped you back to the original size. Egads. Before seeing this thread, yesterday I asked the big question about the extra stitch for the increased size. Maybe a good idea to amend the main page instructions about that, as “resume the pattern as normal starting at Round 9 as per the pattern.” is pretty confusing. BTW, I just discovered CC a cpl weeks ago, & am so impressed by the amount of work you do & support you provide, Mikey. It’s quite wonderful. Kudos!!! !